Foam filters are air cleaner filters that use polyurethane foam elements as the filtering material to trap unwanted air contaminants and particulates. Foam filters are made up of tiny interlocking cells that prevent the passage of dirt particles and distribute these throughout the entire volume of the foam. Foam materials are used in many performance air filters for engines on appliances such as lawnmowers, power tools and other power equipment. 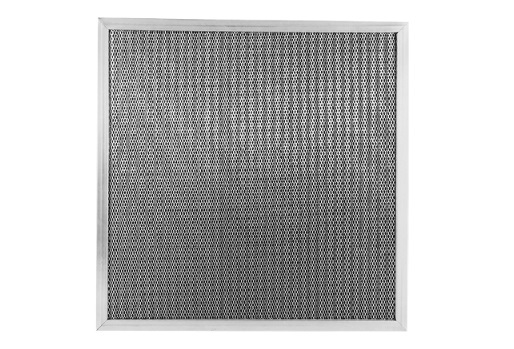 Paper filters are also used in theses applications but foam filters tend to have a much higher dirt retention level and so make ideal exhaust filters. In automobile intake systems, foam filters are widely used to prevent the entry of dirt and dust particles into the motor system. In vehicular sports such as off-roading, rallying and other motor sports in rugged and high dust environments, foam filters are a popular choice due to their dirt retention capacity. As with other filters, a retentive additive can be combined with the foam in order to increase the filtration levels without preventing air flow. Performance filters in particular use mostly foam due to its long lasting and high filtering properties. The air intakes of internal combustion engines and compressors often use foam filters as well, along with many buildings in HVAC filter equipment and in man-made environments like satellites and space shuttles. It is an ideal material choice for air conditioners, fan coil units and ventilator systems. Filters composed of foam materials offer a number of advantages over other materials used in filter fabrication such as carbon filters or plastic filters. Foam can be water resistant or non-absorbent, it allows liquids to pass through without become clogged or blocked, making it ideal in filtering applications which may include liquids. Porosity is a key factor in determining the best type of filter foam for an application and this will be chosen based upon the desired ease of filtration and speed of airflow. Foam can vary from open cell with minimal air restriction, only preventing the largest particles from passing through, to fine porosity foam which gives a high level of filtration. Many types of foam are washable and as such can be used repeatedly. Depending on the intensity of the application for which a foam filter is used, it can have a relatively long lifespan. Foam materials are typically durable and lightweight and once in place can remain fairly low maintenance system elements. Depending on the setup of the filtration system, foam filter elements should be easy to replace or repair. In addition, foam is typically fabricated to be non-allergenic, non-toxic and will not break down if cleaned with most common solvents or detergents. Foam Filters Foam filters are air filters that use foam as the filtering material. Foam filters are made up of tiny interlocking cells that trap and distribute dirt particles throughout the entire volume of the foam. Foam is used in many performance air filters and in automobile intake systems due to the unique properties it offers.